The agency’s Deputy Secretary Thomas Bowman announces his retirement, as Trump names yet another acting secretary to fill the post left by Robert Wilkie. President Donald Trump named a new acting secretary to the Department of Veterans Affairs to replace Robert Wilkie on Wednesday because Wilkie stepped down to await his Senate confirmation hearing to permanently become the official VA Secretary. The new acting Secretary, Navy and Air Force veteran Peter O’Rourke, previously served as head of the VA Accountability Office and was a member of the Trump transition team. O’Rourke took over as VA Chief of Staff in February. In the same notice, VA Deputy Secretary Thomas Bowman announced his retirement. Confused? This plot is indeed hard to follow because the VA has been in constant flux since February, losing about 40 senior staffers in the last four months. During the same time, the VA had been holding off on its EHR modernization project -- until last week when it officially signed a deal with Cerner. In a nutshell, then: With an estimated $10-16 billion in taxpayer dollars on the line, and given Department of Defense’s struggles with its own Cerner project, it’s no surprise that U.S. Senators and Representatives are seeking transparency and accountability. Here’s a look back at how VA leadership mix got where it is today. Once beloved by Trump, a scathing VA Office of Inspector General report claimed former Secretary David Shulkin, MD misused government funds to cover his wife’s airfare for a European work trip in July 2017. The report also argued Shulkin improperly accepted tickets to Wimbledon during the 11-day trip, which was also misrepresented to ethics lawyers when Shulkin returned. VA OIG also claimed Shulkin’s Chief of Staff Vivieca Wright Simpson doctored an official email to secure the trip’s funds. Shulkin denied all of the allegations to both OIG and the media. But Wright announced her retirement just days after the report was released. Shulkin continued to make Congressional and public appearances amid the fallout, including discussions about his plans to partner with Cerner on the VA’s new EHR and an open API project through the agency’s Lighthouse platform. Despite the continued turmoil, Shulkin forged ahead with his EHR modernization plans, telling Congress he was solely focused on improving the lives of veterans. Those plans included working closely with the Department of Defense to take the lessons learned from their pilot rollouts and apply them to the VA’s own Cerner project. During this hearing, he also reiterated that privatizing the VA “would be the wrong decision for our veterans.” A stance that reportedly didn’t sit well with members of the Trump administration. Trump officially fired Shulkin, telling the secretary just moments before he made the announcement on Twitter. The President tapped DoD leader Robert Wilkie to lead the agency in the interim, while nominating White House Physician Rear Adm. Ronny Jackson, MD to fill Shulkin’s shoes. The move put the EHR modernization contract in limbo. It took less than one day for Shulkin to open up about his firing to the New York Times. Shulkin claimed forces in the VA are trying to privatize the VA. While sudden staffing removals are par for the course in the Trump administration, those who leave mostly remain quiet on the topic. A growing list of Congressmen and others called into question whether Trump’s nominee was qualified for the VA post. Known for his glowing report on the President’s health, his opponents shared their concerns that Jackson had never held a managerial or leadership position for a group as large as the VA.
AMVETS, one of the nation’s largest veterans’ groups, wrote a letter to Trump urging him to reconsider his choice of Wilkie for VA acting secretary. 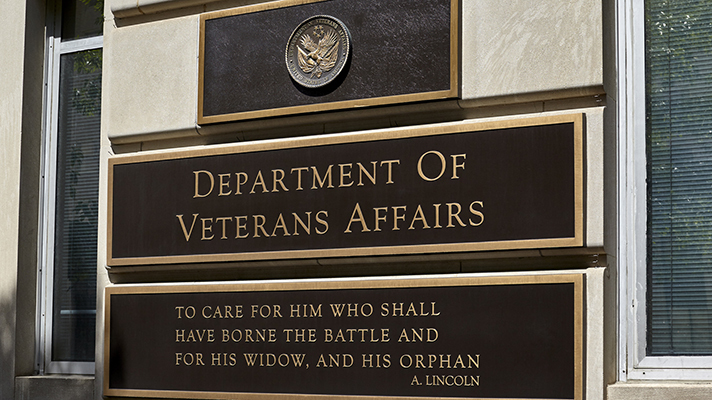 Pointing out that federal regulations predesignated VA Deputy Secretary Thomas Bowman for the position, the group argued that Wilkie’s lack of VA experience will hinder the momentum of reform underway at the agency. The VA loses another leader as longtime acting CIO Scott Blackburn announced his departure from the agency. As one of the leaders on the EHR modernization project, it continued to put the fate of the Cerner contract in jeopardy. Blackburn had been with the VA since 2014 as an adviser to two secretaries. Trump named his former campaigner Camilo Sandoval as the new acting CIO, which again brought further controversy. Reports claimed Sandoval conspired to get Shulkin fired, along with other reports that, as the former director of data operations of Trump’s 2016, Sandoval repeatedly clashed with staff. He was also recently accused of sexually harassing a fellow employee during the campaign. Jackson withdrew his nomination for VA Secretary, as 23 people accused him of improper work conduct. The allegations ranged from Jackson allowing staff to write scripts for each other to give to non-beneficiaries, to crashing a government car after a Secret Service going away party. He denied all allegations. But while he returned to the White House medical unit, Jackson was not reinstated as White House physician. Two veterans groups sued the Trump administration and the VA for the President’s ‘unlawful’ choice for acting secretary. Citing the Federal Vacancies Reform Act of 1998, Trump didn’t have the authority to name a replacement for VA Secretary, as he fired Shulkin. While the White House has argued that Shulkin resigned, Shulkin has repeatedly stated he would never quit his post. As a matter of law, the groups argued, deputy secretary Bowman was next in line for the position. Reports have claimed Bowman was too moderate on his views to privatize VA healthcare. The White House also denied those allegations. Nearly a year after Shulkin announced his EHR plans, Wilkie officially signed with Cerner to modernize the VA’s EHR. But with the lawsuit calling into question whether Wilkie has the authority to do so, there may be ramifications at a later time. Trump announced his plan to nominate Wilkie to permanently head the VA. The news was a shock, even to Wilkie, who hadn’t heard the news before Trump made the announcement at the White House summit on prison reform. Trump once again sidesteps Bowman and selects VA Chief of Staff Peter O’Rourke as acting secretary. Wilkie stepped down to await his Senate confirmation hearing for the permanent position and returns to the DoD. Under the Federal Vacancies Reform Act, Wilkie wasn’t legally allowed to continue in the role as: "a person may not serve as an acting officer for an office if ... the President submits a nomination of such person to the Senate for appointment to such office." Bowman announced his retirement in the same notice, effective June 15. Officials said he’ll continue to serve as a consultant to the acting secretary.